Stay toasty with this stylish Star Wars Rogue 1 Empire Cuff Pom Beanie Hat. 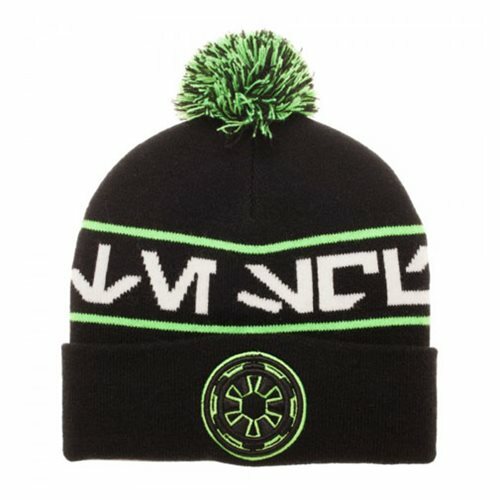 This beanie features a stylish black design with green accents, pom on top, and the Empire's logo on the cuff. Made with an acrylic blend, this pom beanie measures 8-inches tall x 8-inches wide. One size will fit most.